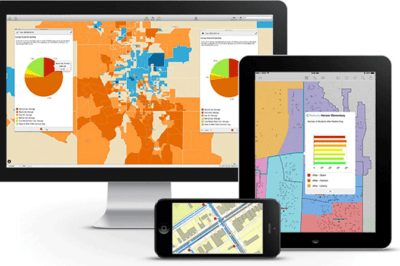 Geospatial technology has allowed users the ability to travel the world without ever leaving home. Users can explore the world, inside and out. Last October, Google unveiled Google MapsGL which uses Google Maps and Web Graphics Library (WebGL), bring 3D graphics to web browsers. Showcasing the advancement were sample 3D tours of Rome, Italy and London, England. Recently unveiled, the Google’s World Wonders Project aggregates the company’s Street View imagery, 3D models, and other technologies in order to showcase world heritage sites from both the ancient and modern world. The project is a partnership with UNESCO and World Monuments Fund. Visitors to the site can browse through sites organized by region and by type of heritage site. Selecting a site brings the user to an interface to explore the location through Street View imagery which allows the user to virtually step into the site. Arrows on the screen indicate the direction of further imagery. The panel on the right of the screen provides access to detailed information and additional photos, videos, and 3D models, if available. Ancient Kyoto: Nijō Castle – World Wonders Project. The Catlin Seaview Survey aims to provide a comprehensive study of the Great Barrier Reef in order to understand the composition and health of this oceanic environment. Part of this study involves the use of the Catlin Seaview Survey camera which will take thousands of 360-degree underwater panoramas. Those images will be stitched together to provide unprecedented views of the Great Barrier Reef. This will eventually mean that roughly 50,000 panoramas from the Survey will be accessible on Google Earth and Google Maps. The project will also have a dedicated YouTube channel and the ability to broadcast Hangouts on air, which allows people to watch livestreams of the expedition team from the ocean floor. The Great Barrier Reef expedition is expected to launch September 2012 and future plans will include expanding to other oceanic areas around the world. 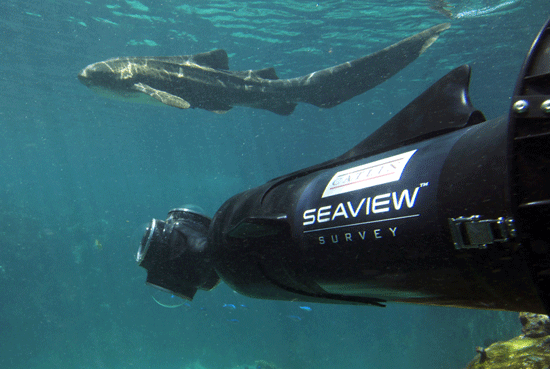 Keep up to date on the progress of this expedition via the Seaview site. 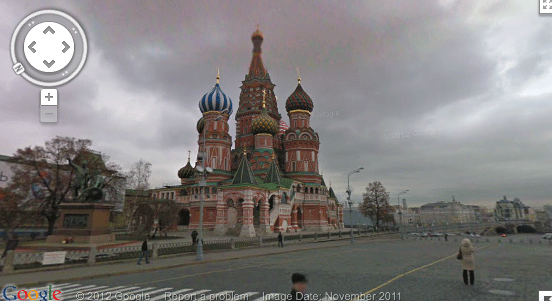 Meanwhile on land, the Google Lat Long blog announced the arrival of Google’s Street View in Russia. Street level imagery is now available in Moscow and St. Petersburg. The European Space Agency (ESA) has pieced together some amazing views taken from optical and radar instrument onboard its Envisat Satellite orbiting 800 km above the Earth. The video is a little over twenty-five minutes long and is set to calming music. 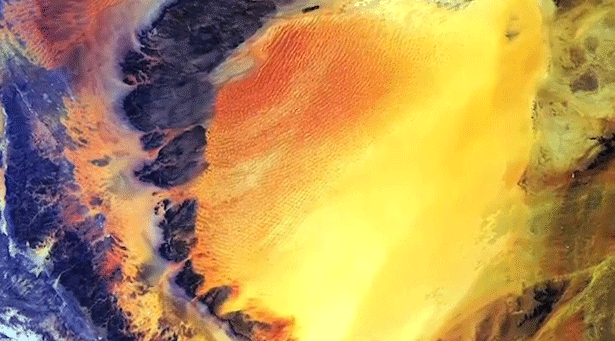 The video pans over incredible views of the earth, each image containing brilliant colors showing glaciers, islands, deserts, and forests from around the world. Unfortunately, the video is missing annotation identifying the location of each of the images. Feeling stressed? Load this video, expand it to full screen, and sit back for a relaxing view of the world and be in awe of the natural beauty of the earth. The video was originally created as part of Lufthansa’s in-flight entertainment back in December of 2010 but now has been made available for everyone by ESA. Screenshot from ESA’s “Our Colourful Planet”. If you love armchair geographic travels, the European Space Agency (ESA) has a weekly web TV program to showcase satellite imagery from its various earth observation satellites such as Envisat and ERS. New installments are shown every Friday at 10 CET. The very first episode aired Friday, November 18, 2012 and was hosted by Kelsea Brennan-Wessels. Featured imagery includes volcanic activity of off the coast of the Canary island, El Hierro as well as the Italian city of Venice. Several short preview videos are available to provide viewers with a preview of ESA’s offerings. The narration includes information about the source of each satellite image explored. Episodes can be viewed via ESA Web-TV, or through the ESA app for iPhones. An interesting site for armchair travelers is the Panoramic Earth site. The site is driven by users who can submit their own 360 panoramic images from sites of interest located around the world. There are currently over 1,400 panoramic images that users can access by either drilling down through the Google Map application, selecting from the highlighted places list or through search results. Each panoramic is accompanied by text describing the location. Click through the Google Maps application to find additional nearby panoramics. 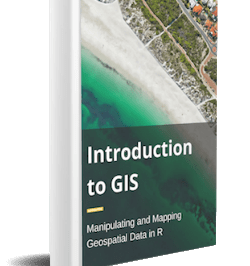 The Los Angeles Times published an article in February of 2007 about virtual geographers which profiles web sites that are dedicated to exploring and posting interesting tidbits found online at Google Maps, Google Earth and Microsoft’s Live Search Maps. The article profiles Jason Lee and Jon Coogan who run the web site Bird’s Eye Tourist and chronicle many of the images they find in their virtual journeys. Google Earth is packed with things that its creators never intended. Paper maps are a cartographer’s rendering of the world, whereas digital versions in Google Earth, Google Maps and Microsoft’s Live Search Maps are more like sophisticated collages — moments captured by cameras on satellites and airplanes, seamlessly blended to create a digital world. Bird’s Eye Tourist isn’t the only web site dedicated to scouring satellite imagery for thrills. With the tagline “Why bother seeing the earth for real?“, Google Sightseeing is another such service. This blog has even put out a book called “Off the Map: The Most Amazing Sights on Earth as Seen by Satellite”. You can be an armchair archeologist and help National Geographic with tagging satellite photos of unexplored areas in Central Asia. The Valley of the Khans Project is being led by Dr. Albert Yu-Min Lin who is compiling a survey as a part of an effort to located the lost tomb of Genghis Khan. 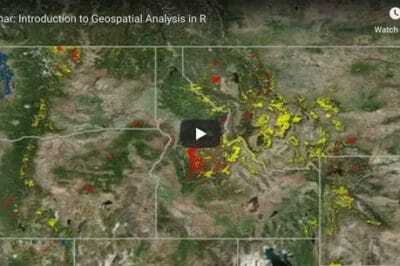 Registered users can scan tiles of high-resolution satellite imagery provided by the GeoEye foundation and tag features of interest. The entire project is designed to be a high-tech, low invasive survey of Mongolia that has few roads and has been largely untouched by humans for over 800 years. There’s a short two-minute tutorial video to explain the project and how the geotagging works. 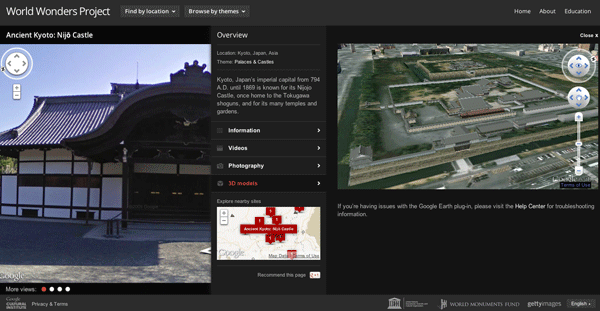 Registered users practice on trial imagery tiles and learn how to differentiate between modern and ancient structures. Once users reach the Novice level, images to mark up as part of the project are shown. This aspect of the project relies on the collective wisdom of users – the more a certain features is marked, the higher the priority that location is assigned for the field archaeologists to check out. Visit the Valley of the Khans to get started. The Oddee blog has a list of “10 Geological Wonders you didn’t know.” The post highlights some of the most breathtaking natural wonders from around the world. Read more: 10 Geological Wonders you didnt know. The Oddee blog also has some fantastic pictures taken around the world; from rows of low income housing in Mexico to a love-struck message on a freeway in Seattle, Washington. Read more: Outstanding Aerial Photos around the World.